Why is my Husband So Angry? » Why Is My Husband So Angry? I Have an Angry Husband…Why? Why is my husband so angry? Here’s the bottom line. Men are different. When men are in a conflictual situation, they tend to get overwhelmed more easily than women, and these physiological changes, despite their best intentions, literal impair their ability to be their best selves. Men are evolutionarily designed to fight or flee and have a nervous system that is finely attuned to perceived threats. Men who don’t explicitly learn how to calm themselves down will typically respond to criticism with the other three horsemen; stonewalling, defensiveness, and contempt. It takes a little psycho-education to understand that a man’s nervous system is often his greatest enemy. Why is my husband so angry? Because when your husband feels like he is under attack, his body starts to change. His heart rate is over 100 beats a minute (or over 80 beats a minute if he is in superb athletic shape), his brain begins to release adrenaline and cortisol, his hearing and peripheral vision become impaired, his sense of humor evaporates, and he…well…talks kinda stupid. He repeats himself. Endlessly. Please understand I am speaking about ordinary marital fighting. I am not speaking about the other end of the bell curve of men who take no responsibility for themselves and commit domestic violence. The first is the initial reaction to the critical “attack.” Remember what we said about the startle response. Startled men are angry men. They can’t help it. It is an evolutionary trait. Men evolved to be hyper vigilant about threats in the environment. Adrenaline is racing into his bloodstream. This explains why “softened start-up” is so critical. Gottman’s research says that a harsh critical start to a conversation will end badly 96% of the time. It’s practically a sure thing. If you want to have fewer fights, have softer start-ups. Talk to your husband as if he were someone you loved. It’s more likely that you want to influence your husband than engage in inflammatory bickering. Emotional Shutdown is the Stonewalling reaction. You think he could care less. Why is my husband so angry? The problem is he “cares” too much. Physiological processes are taking over his mood and his stance. Perhaps you can identify with that, and have some compassion. Why is my husband so angry? Because once aroused, he can’t easily calm down or “self-soothe.” Not because he doesn’t want too. More likely because he doesn’t know how. Why do couples only fight… or revive old dead fights as Franken-fights? Is there another way? Getting physiologically aroused is no fun. You can’t be creative, or empathetic. And you certainly can’t see things from your partner’s point of view. Here are some science-tested ways to get out of the flood zone and change your fighting style once and for all. Why is My Husband So Angry? He Doesn’t Have Flood Insurance! Douglas and Rachel Abrams, MD, used the term “flood insurance” in an entertaining book they co-wrote with John and Julie Gottman, “The Man’s Guide to Women.” Flood Insurance is a perfect metaphor for the self-awareness and psycho-education that is required of men to gain mastery over these needless blowups. When you are calm and connected (not during or just after a fight! ), it would be a good idea for the two of you to have a conversation about acquiring skill in de-constructing your fights. I call these conversations “fight autopsies.” I wrote posts on fight autopsies in the Gottman Model, Emotionally Focused Couples Therapy, and the Developmental Model. Fight Autopsies are all about carefully taking fights apart, and cleaning up your side of the street. If you’re a wife who gets nasty when she criticizes, you need to admit that. If you’re a husband who says mean and hurtful things when flooded, you need to fess up to that too. We hear a great deal about vets and war-related PTSD, and the impact it has on their intimate partners. But there is another issue with men and trauma that we are far less comfortable talking about. Many men have Developmental Trauma from childhood neglect and sexual abuse. As in the case of the veteran struggling with adult-onset PTSD, Developmental Trauma can be a force-multiplier for these men, provoking waves of intense rage, sadness, and paradoxically, dissociation. Working with male survivors of childhood sexual abuse is a key focus of mine, and I will be writing about more about men and Developmental Trauma in a future post. Controlling an angry husband is a risky undertaking. Anger is an approach emotion, it’s a form of “emotional weather” and by its essential nature, it resists control. The temptation to control invites risk. Your husband may escalate because he feels challenged or unheard. He may become defensive, and trigger you by failing to acknowledge, or otherwise trivialize your feelings on the presenting issue. Anger must be starved. Mutual triggering is how escalation propels forward into dark places. Let him have a monopoly on anger. 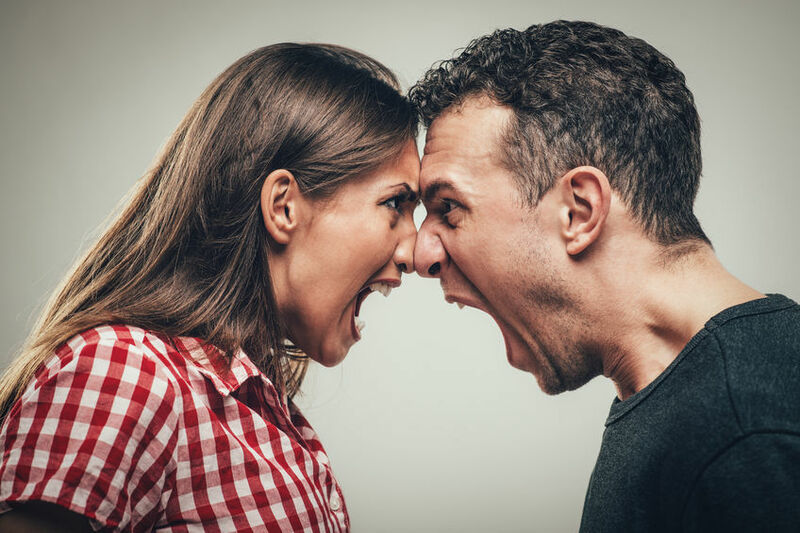 Your calm stance will help to starve his anger, and if you can slip in a few words od validation, that would also go a long way toward de-escalating. So I’m asking you to model calm, but please don’t run out of the room. 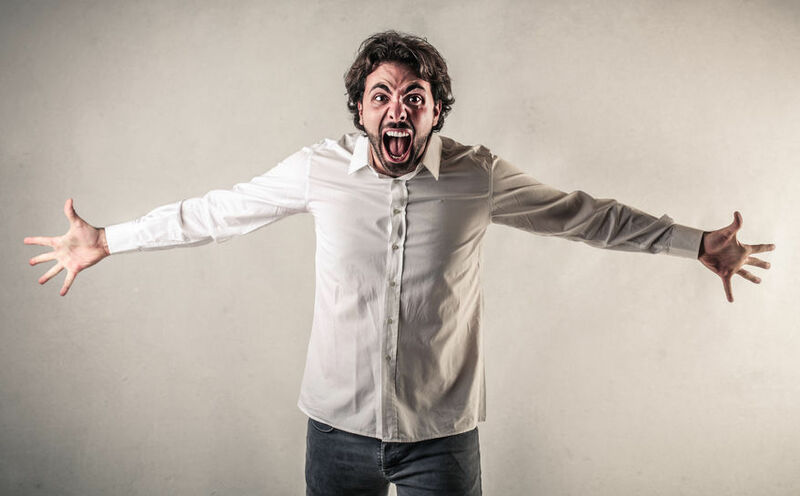 If you have no reason to fear your husband’s anger then stand assertively in front of it. If he has a point, tell him so. Ask him Generative Questions about how he sees the situation. It’s a common pattern that angry husbands report feeling marginalized or unheard. Validation is an often misunderstood concept. Validation is a good faith effort to understand. It is not agreement. It is not permission. It is calmly taking in your partner’s perspective without judgment or evaluation. The goal is understanding. Persuasion comes much later. A stance of fearless curiosity will serve you well. Stay with him. Ask good questions. Strive to understand before you ask to be understood. Be willing to take notes if necessary. Then you ask the most important question of all...” do you feel understood on this issue? Emotionally-focused therapy reminds anger is a surface emotion, while it is an approach emotion, it is generally self-protective. Lurking underneath all that anger are typically found more vulnerable feelings such as disappointment, vulnerability, loneliness, pain or grief. Science-based couples therapy helps couples to access these powerful emotions so couples can have deeper, richer conversations about what matters most to them. 5. Be Strategic… What is the Big Picture Here? That goes for both of you. Watch out for kitchen-sinking and kitchen thinking. If he has a laundry list of resentments, offer to work each issue with him one at a time. What would he like to see happen on this issue instead? “Instead” is a beautiful word, because it transitions both spouses to think about solutions and shared values. Where does he want to go on this issue? what parts can you validate? Or even agree with? What changes would he like to see? How can you help? 6. Ask Yourself… What is He Telling Me That I Can Agree With? When your husband is angry with you it’s easy to be defensive. If you bat back what he is saying, he is likely to become more frustrated and escalate. If you’re wrong, admit it. If you dropped the ball on something you promised, acknowledge it. If you realize you contribute to your pattern of escalation, do a fight autopsy, and map out your mutual interlocking triggers. If you model taking responsibility in a calm and direct manner, you will help to cool things down. When your husband is angry, he may not have access to his best self for an in-depth Generative Conversation. When your husband’s emotional state and physiology are highly aroused, he lost about 30 I.Q points. This may not be the best time for a gentle heart-to-heart discussion. Take a timeout is needed. And suggest him that the topic is too important to struggle over in anger. Lean in, express interest, but be mindful of a set and setting that will be more conducive to a quality conversation at a future time when cooler heads have prevailed. Somes the answer to the question “why is my husband so angry?” is because the two of you have tabled this issue for a bit too long. What Does Your Husband Need to Learn When He Gets Flooded? He might need to call you out on how you’re starting the conversation. “Hey, Mary.. they way you put that leaves me feeling kinda defensive.. would you mind putting that another way? If you’re either unable or unwilling to look at how you are starting the conversation, he may need to tell you, in no uncertain terms, “I’m getting flooded.” Your best move would be to back off and let him self-soothe for twenty minutes or so. Engage in deep breathing. Count to 10. Oxygen in the blood will counteract the effects of adrenaline. Tense and relax his muscles. Imagine his tight muscles to be heavy and warm. Close his eyes and imagine a calm and relaxed scene that would produce a relaxation response. Once he calms down, He could reflect on the likelihood that your escalation probably did not take place in a vacuum. Your husband may need to take a break from you and come back in twenty minutes or so. In order to stay emotionally connected to you, he’s going to need to calm down his autonomic nervous system. James R. Averill, “Studies on anger and aggression: Implications for theories of emotion,” American Psychologist 38, no. 11 (November 1983): 1145-60. Our Couples Retreat is a Perfect Opportunity to Make Your Love the Main Event!